The Harvard School of Public Health has recently expanded the recommendations from the USDA (US Dept. of Agriculture) about eating healthy. 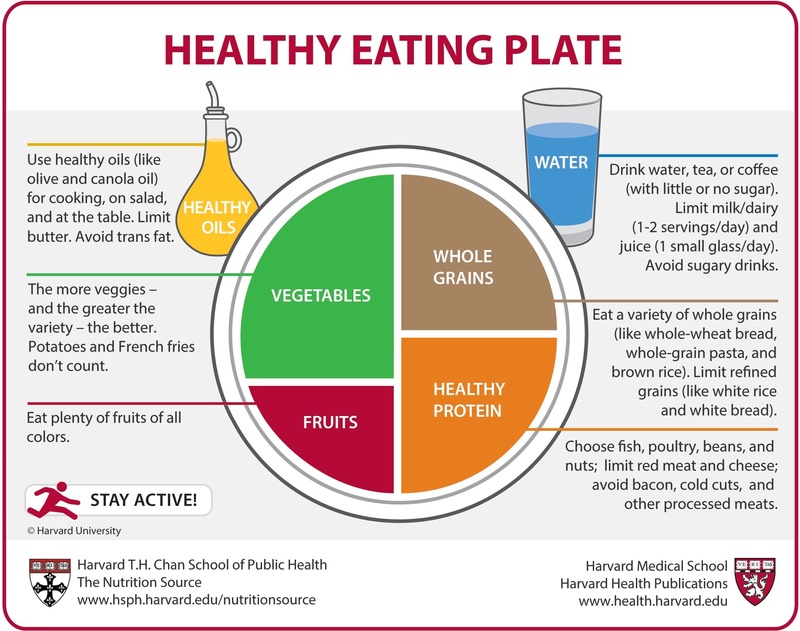 Below is an image of what their “Healthy Eating Plate” looks like. Eat more whole grains than the minimum of 50 percent recommended by the government. Limit red meat and processed meats, such as bacon, deli/luncheon meats and hot dogs, which are strongly linked to heart disease and diabetes. Limit dairy products, while calcium and dairy can lower the risk of osteoporosis and colon cancer, high intake can increase the risk of prostate cancer and possibly ovarian cancer.